To see what days and times we operate, please consult our Tours page. We are accredited Tourism Operators with the Australian Tourism Accreditation Program – TICT No. We can assure you of a memorable experience on your carriage tour. We’ve only been in business for three years but have already received a Commendation (Runner Up) in the New Business Category at the Destination Southern Tasmania’s Southern Star Tourism Awards 2016 as well as the Commendation in the Tourism Excellence in the DST Southern Stars 2017 Awards. 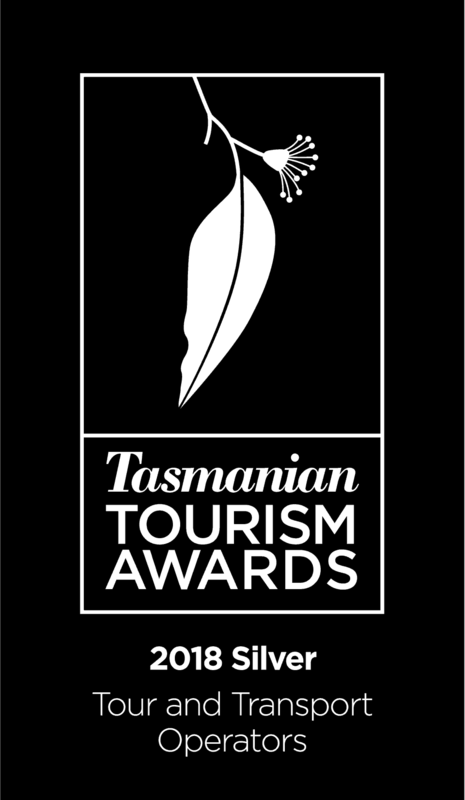 At the Tasmanian Tourism Awards 2018, we were awarded Silver in the Tours and Transport Category to go with our 2016 Bronze in the New Business Category. Thank you to everybody who has reviewed us so far. Your contribution has earned us back to back Certificates of Excellence for our perfect record with every review a 5 Star! We make it our goal to always give you a memorable experience. Call us on 0408 763 392 at any time. We do take bookings on a walk-up basis at our departure point on Salamanca Place. We cannot guarantee, however, that you may secure a ride if we have prior bookings. You can also book through the Tasmanian Tourist and Travel Information Centre. Like a tour outside our normal operating hours? Just call us and we can arrange anything you desire. WE ARE ALSO AVAILABLE FOR WEDDINGS AND CORPORATE EVENTS. PLEASE CONTACT US ON 0408 763 392 OR VIA OUR CONTACT FORM BELOW FOR MORE INFORMATION. Trot Through Time tours and special request bookings are secured by a 50% deposit. If you cancel with more than 48 hours notice, your deposit will be refunded. Sorry, no refunds if cancellations are made less than 48 hours prior to your booking. All deposits refunded in full if we need to cancel for any reason and are not able to reschedule your booking. We can also take EFTPOS and credit card payments. All charges are inclusive of GST. PO Box 392, Geeveston TAS 7116. Email: [email protected]. If you use this page to contact us and have not received a reply within 24 hours, please contact us by emailing or phoning directly. We have experienced issues at times with the site not directing emails to us.